Making your own things is incredibly satisfying – you’ll have Facebook bragging rights and don’t need to be particularly skilled. One of our favourite furniture-making blogs is from Ana White, a woman who had never made furniture before in her life, but after she and her husband built a home in Alaska, she had to make her own beds and tables to save money. Here are some of our favourite designs, with links to the plans so that you can do it yourself. If you’ve been following us on Facebook or Twitter, you’ve probably seen us link to a few of these already. 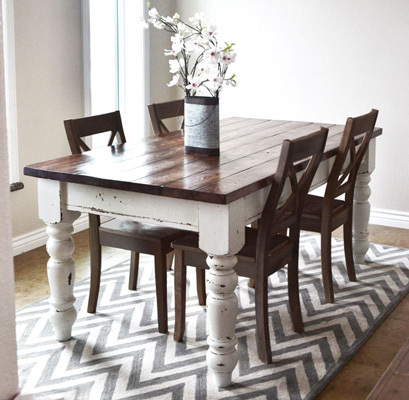 This dining table wouldn’t look out of place in a highstreet furniture shop, but you can save money by making it yourself (and avoid waiting 4-6 weeks for delivery). The plans make a table that’s 1828mm long, but you can customize it to any size – perfect if you have a small room or if you need an unusually large table to seat a big family. 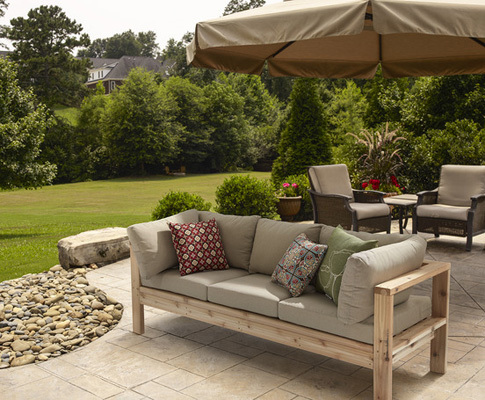 If you want to start with something relatively safe, outdoor furniture might be the best way to go. You can pay thousands for quality outdoor seating. Or you can pay less than £100 to make it yourself, and feel the pride of sitting on your own creation. If you’re sick of wobbly beds with MDF headboards, make one from solid wood. This farmhouse bed is fast, cheap, and you don’t need special tools to make it. 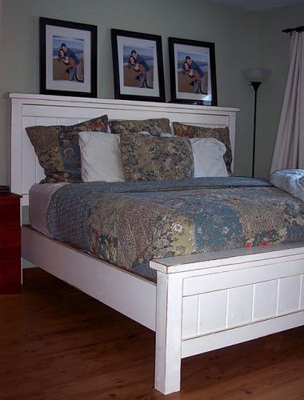 There are 5 steps and you start by making the headboard before making the body of the bed and fitting it all together. You really don’t need to spend so much on a dollhouse – it’ll be even more fun to include the kids in the design process and get them to help you make it on a rainy day. Use this plan as a base, and see if your kids want to add their own special touches to make it really theirs. 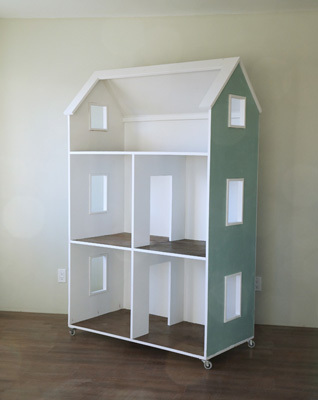 Ana White’s site also includes some dollhouse furniture designs, so you don’t need to stop there. 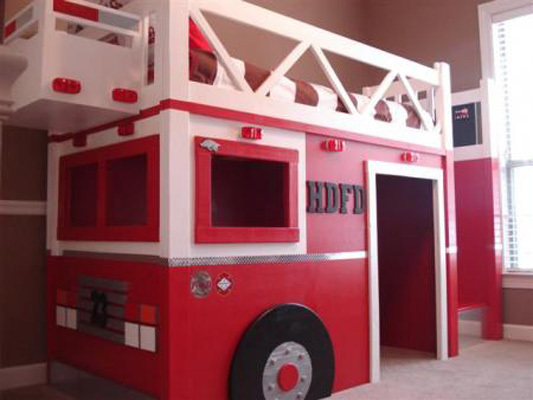 Any boy would love to sleep in a fire truck. This is a great way to make the bedroom more interesting and add valuable storage space.